There are many reasons to start a patio garden. 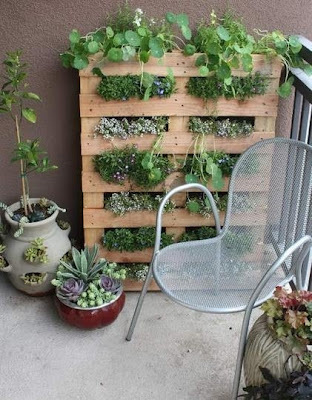 If you recently moved from a large home to an apartment or condo and don’t have the space to start a home garden, a small patio garden may be the only way to keep your passion for gardening alive. Perhaps the idea of growing a few herbs sounds delicious, but you don’t want to commit to maintaining a full garden. Some of us just want to grow beautiful flowers in the spring. Whatever your reason for starting a patio garden, here are 4 quick steps to get your patio garden blooming. There are a few climate and weather issues to consider when designing your patio garden. Will your plants have direct sun, or will a tall apartment or office building block the sunshine? Is your patio on the ground floor, or are you on the tenth story where your garden will be battling high-speed winds? Will your plants face freezing temperatures on early spring and late fall evenings? 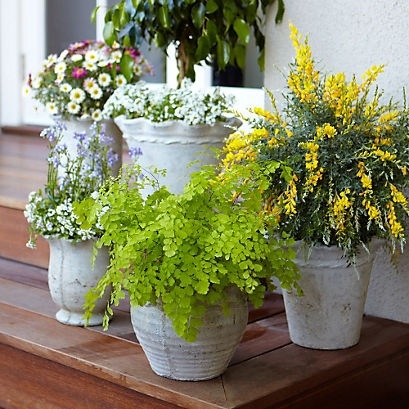 Take these factors into consideration when designing your patio garden and choosing plants. 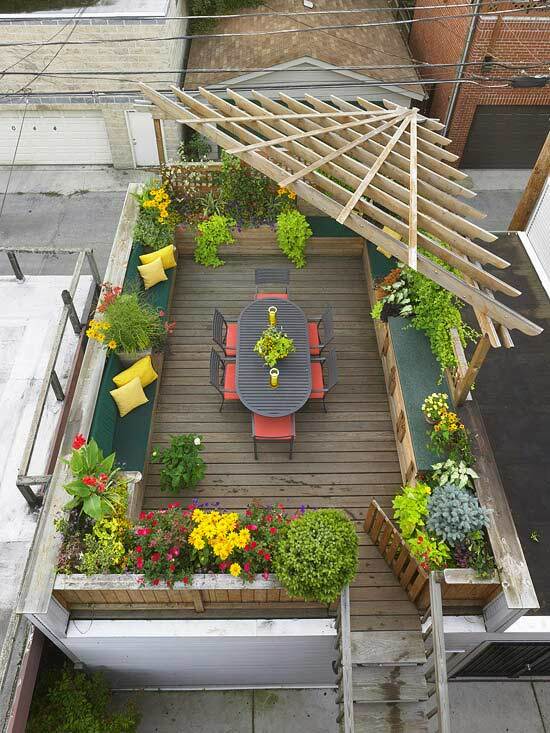 Don’t let a lack of planting space constrict your creativity. Window boxes are perfect for patio gardens because they don’t take up floor space. Large shipping pallets have recently come into fashion; they are an inexpensive way to build a vertical garden up your patio wall. Non-traditional containers like old boots, old furniture and broken appliances make great alternatives to traditional pots without taking up extra space. While you should certainly grow what you love, consider these tips when choosing plants for a small patio garden. Most veggies require a bit of extra space, but shallow veggies like lettuce flourish in window boxes. While you might not have the space for a proper veggie garden, an herb garden will grow even on the tiniest windowsill. Fresh thyme, parsley, cilantro and mint can be on hand for cooking. If flowers are more your style and you have several hours of full or partial sun hitting your patio, pick out appealing annuals. Otherwise, choose shade-lovers like lantana, fuchsia, impatiens and dwarf varieties. Remember that potted plants won’t receive the same benefits from the soil as plants planted in the ground. 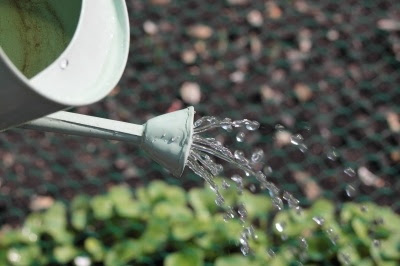 Not only will you have to water more often, you’ll want to add a quarter-strength dose of soluble fertilizer every 10 days. Plants are able to soak up nutrients from the earth, and you need to be sure those same nutrients are available to your potted plants to keep your patio garden healthy and beautiful. Nice ideas and valuable tips. Thank you for sharing.